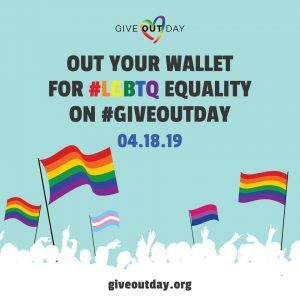 Pride Link, a new local nonprofit committed to improving the quality of life for all LGBTQ people, will participate in Give OUT Day, the only national day of giving for the LGBTQ community on April 18th. Results from a 2017 study* show that 1/3 of LGBTQ people in the Upstate have had to teach their doctor about care related to their identity, 22% have rated their physical health as poor, and 1/3 rated their mental health as poor. Pride Link is trying to change this harsh reality for the LGBTQ community in the Upstate through their Mobile Community Center program. Give OUT Day, the 24-hour online fundraising event brings together the LGBTQ communities and their allies across the United States. Give OUT Day 2019 takes place on April 18, 2019, from 12:00 am to 11:59 pm Eastern. Last year, Give OUT Day raised nearly $1 million to support LGBTQ nonprofits. Pride Link strives to improve the quality of life for all LGBTQ+ people in Upstate, South Carolina. Their first program, a Mobile Community Center, brings social support, medical and mental health services, and community resources to where people are in their community. Support Pride Link on Give OUT Day here. Give OUT Day is a project of Horizons Foundation. Founded as a community foundation of, by, and for LGBTQ people, Horizons has been supporting LGBTQ nonprofit organizations, leaders, and donors for nearly 40 years.